Adobe has put plenty of energy into the mobile side of its Creative Cloud marketplace. However, this concentration has thus far been focused on the iOS side of the equation. 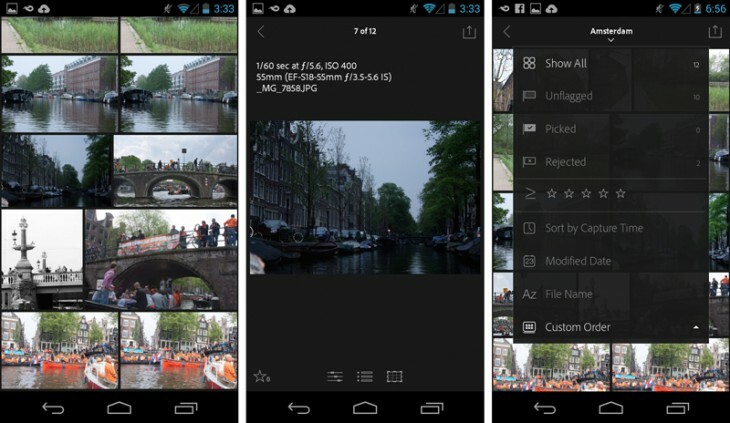 That is about to change with the launch ofLightroom Mobile for Android, available free on the Google Play Store. It makes sense that Adobe has tackled the most accessible category of its Creative Cloud apps first: While the $9.99-per-month photography plan directly targets photographers with the lowest priced subscription, Lightroom is the only Creative Cloud app that can still be purchased as a perpetual license. And with Lightroom Mobile as a service-based adjunct to the desktop app, it’s critical that Android users get equal time. The app’s interface, characteristic of Adobe’s cross-platform development strategy, is almost completely analogous to the iPhone app Adobe released in June, with some very minor differences. The biggest point of contention for me today is that the Android version is not optimized for tablets. Whereas the mobile Lightroom iOS version debuted on the iPad and then migrated to the iPhone, for Android, Adobe has taken the opposite tack. It’s unclear when an Android tablet version will be released (or, for that matter, when Lightroom 6 will be making an appearance), but Adobe assured TNW that Android tablets are indeed on the roadmap. Android phones span a large range of sizes, but I can only speak about the one I own, which is roughly the size of the iPhone 6. Using Lightroom on the phone is obviously more of a challenge than on a tablet because of the limited screen real estate. Everything is compressed and crowded, but if your Android handset is the camera you always have with you, then you’ll appreciate that Lightroom got to your phone first.